Everyone loves daisies, so it’s no wonder that New England Asters (Symphyotrichum novae-angliae) are so popular. 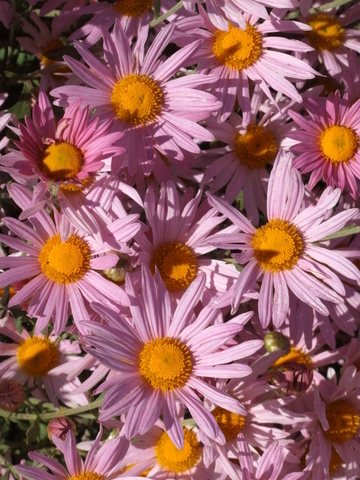 Bright purple (or pink or white) daisies with contrasting golden yellow centers adorn these shrubby perennials from August until October. 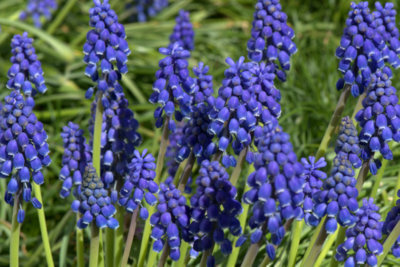 Growing to four feet high and wide, the plants tend to sprawl unless staked, especially in very fertile soil or partial shade. Stems bear long, lance-shaped leaves of dull green. What? Destroy these beauties? Why? I was about to receive an education. Locoweed (or crazyweed) is the common name for two genera of western plants, Oxytropis (left) and Astragalus (also called milkvetch), both in the pea family, and both including some species that contain the toxin swainsonine. Swainsonine interferes with protein metabolism and causes nerve damage. Cold-resistant flowering cabbage takes the stage after tender annuals have succumbed to Fall’s first frosts. Flowering cabbage isn’t really a flower, but a loose head of large ruffled, fringed, or smooth leaves in vibrant combinations of cream rose, purple, and green. Although grown as an ornamental, flowering cabbage, also known as ornamental or flowering kale, is completely edible. Technically a biennial, these cabbages are grown for the open rosettes that forms the first season. Summer heat results in stunted or leggy plants that are often attacked by cabbage loopers; plants are at their best in cool fall weather. Frosty nights intensify the colors. In late August or September, set seedlings out 15 – 18 inches apart in full sun. All cabbages prefer rich, moist soil. Ornamental cabbages are most typically massed as bedding plants. Plants continue to look attractive for a while after the ground freezes. Use for fall/winter color, contrasted with dormant perennial grasses in shades of tan and gold, or harmonizing with groundcovers, such as some junipers, that turn purple in winter.